This is Wikipedia’s point of view though I beg to differ on some accounts; firstly, I don’t think it is one of the reasons people (Nigerians really! I just don’t want to stereotype, although it is our area of focus as regards this article) visit the dentist. 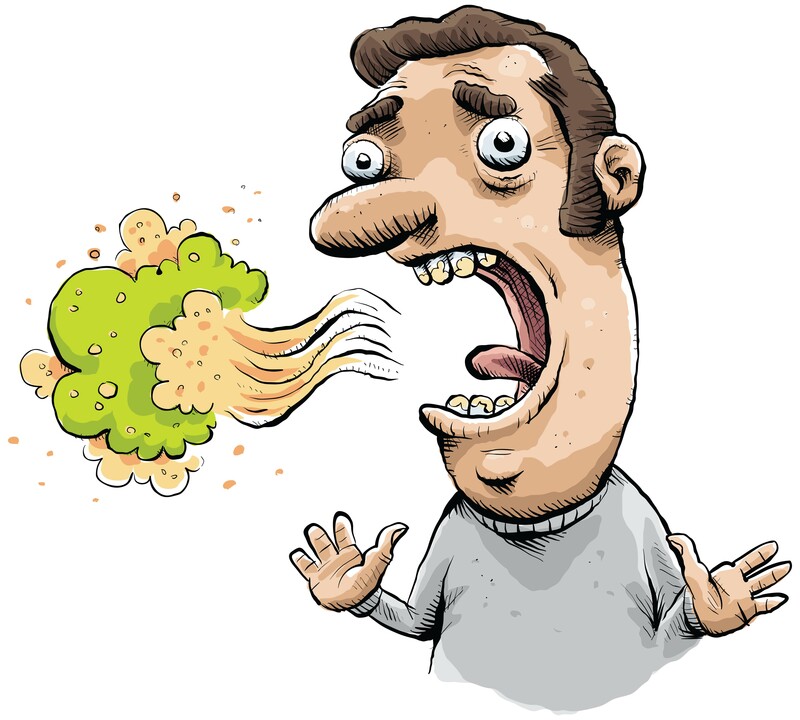 Most folks aren’t even aware that they have bad breath, let alone see it as a big enough problem to visit the dentist. I can understand that a good number of people especially in the North here where I reside don’t see brushing their mouth as an option but when I see finely groomed guys and ladies exuding the same whiff, I know something must be amiss and this is an issue to address/discuss. Frankly, this is one reason why I loathe public transportation because once you’re stuck in close proximity with someone with a bad breath you are done for till either of you gets to your destination or come to the end of that journey. Despite the fact that okadas (commercial motorcycles) are really dangerous, I didn’t mind; jumping okadas became the norm for me as long as the bike man didn’t talk to me just because I wanted to avoid being in a bus with many people, battling with you-know-what and their sweaty selves. It really embarrasses me when you come across a very pretty lady, corporately dresses and looking like the next best thing since creation, only to be assaulted by her breath. Out of genuine likeness for a couple of them I have met, I have thought to point out the white elephant in the room and probably proffer advice on how best to deal with it, but for fear of their adverse reaction and reception to my concern I would rather keep mum. No one needs to be ashamed when and if you discover you have bad breath, just have it at the back of your mind that it could be a medical condition or just an oversight on your path when it comes to your oral hygiene. Also your dentist would advise you to change your toothbrush every 3 months to make sure they are still effective. I didn’t buy the idea before but recently I’ve begun to see reasons with them; the bristles of our tooth brushes get weak over time and can’t clean our tongues well enough. This is a very dicey topic to discuss because bad breath is relative? Did I just say relative? How do you tell a very good friend or colleague of yours that their breath stinks without hurting their feelings? I know how it goes supposedly, that in true friendship you should be able to tell each other stuff but trust me this is one of the things that are easier said than done. Let me end this by talking about flossing cos toothpicks don’t exactly do justice to the assignments we send them on. Proper flossing removes plaque and food particles in places where a toothbrush cannot easily reach — under the gum-line and between your teeth. Because plaque build-up can lead to tooth decay and gum disease, daily flossing is highly recommended.